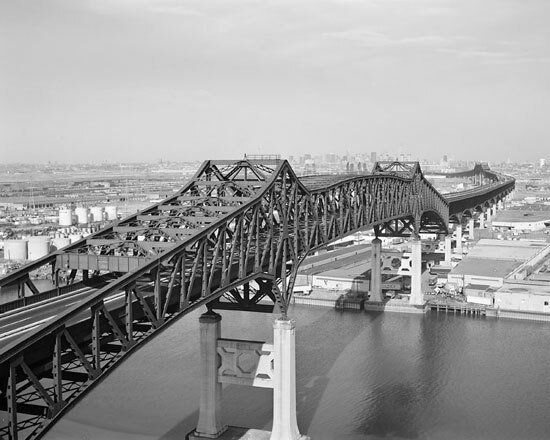 AEA is currently providing lighting design services for Pulaski Skyway Rehabilitation Projects. Design services included preparing concept development, feasibility assessment, preliminary and final design. Lighting design services included roadway and bridge lighting, Navigation and aviation lighting and electric design for providing services to Lighting and ITS facilities. During concept development coordination was performed with State Historic Preservation Office (SHPO) to select the luminaires and light poles. Architectural lighting poles and lighting fixtures were selected due to historic nature of the bridge. Prepared warrant analysis to determine limits and need for roadway and sign lighting and performed photometric calculations to determine locations and spacing between the light fixtures. LED light fixtures were used to reduce the operational costs i.e. maintenance and energy costs. AEA prepared lighting construction plans and construction details for roadway lighting, sign lighting, aviation and navigation lighting, load center wiring diagrams, single line diagrams and structural attachment details for light poles, junction boxes and conduits. AEA identified the areas of the project requiring temporary lighting and delineated on the plans. AEA performed coordination with lighting pole and light fixture vendors to select appropriate luminaires for this project. AEA performed electrical load, conduit fill and voltage drop calculations to determine conductor and conduit sizes. AEA performed coordination with utility company to obtain electric service confirmations for lighting load centers. Performed coordination with Structure Design team to resolve any conflicts between lighting facilities and bridge joints. AEA performed study the feasibility study to provide redundant power supply to roadway lighting, navigation and aviation lighting and submitted the findings and recommendations to NJDOT for their review and decision. Performed coordination with US Coast Guard and FAA as required for navigation and aviation lighting. Lighting design was prepared in accordance with NJDOT design manual and procedure manual. The plans were prepared in accordance with NJDOT CADD standards. Electrical designs were prepared in accordance with NEC and NESC requirements. Currently contract 3 is under construction and contract 4 is under bid process contracts 5 and 6 are under design. AEA is providing construction support services for contract 3 including review of catalog cuts, working drawings and responses to RFIs.